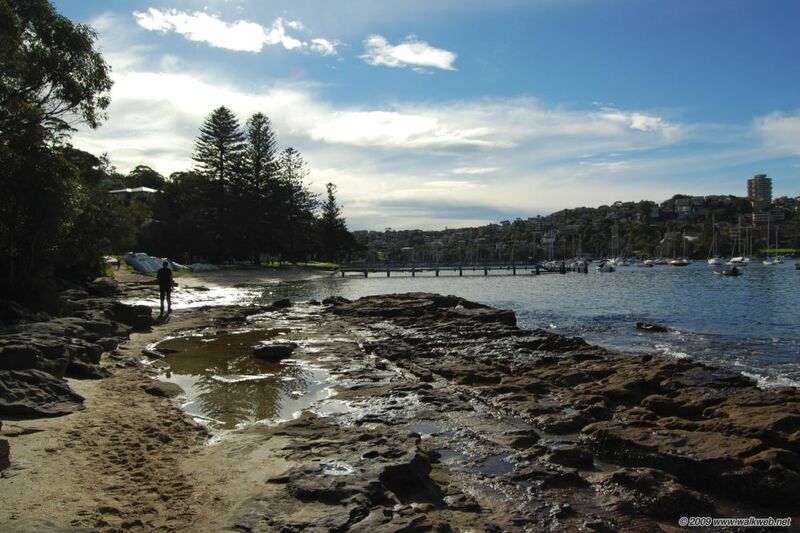 This is an absolutely terrific walk in Sydney that starts at the Spit Bridge and wends its way along the foreshore of Sydney harbour to Manly. There are tremendous views of the harbour, secluded beaches and attractive bushland tracks. Thoroughly recommended, and at 9.5 km an easy/moderate walk. There are plenty of spots to rest along the way, and Manly itself is worth exploring and provides lots of options for refreshments. A trip on the ferry from Manly to Circular Quay is also very worthwhile. The walk commences at the Spit (as in ‘sandspit’) Bridge in north Sydney. Access to here if you are a visitor to the city is probably easiest by bus or taxi. The walk starts at the eastern side of the bridge in a clearing and then basically follows the foreshore for the next 3-4 hours. The path is generally well marked – it’s also pretty hard to get lost, if it looks like you’ve lost the track, just retrace your steps until you locate it again. The official site for the walk is here. After completing the walk and a couple of beers at the Bavarian beer cafe I took the ferry to Circular Quay. It was early evening and the light was superb allowing for some nice photos of a couple of Sydney icons.